TRAK+ wheel spacers are made from a proprietary aluminum/magnesium alloy which is not only incredibly strong, but also very light weight (up to 70% lighter than a comparable steel product). TRAK+ wheel spacers are then hard anodized to ensure a tough, durable finish that is resistant to chipping, scratching and oxidation. Hub centric for the highest level of accuracy, TRAK+ wheel spacers are 100% made in Germany under ISO 9001 Quality Assurance standards, and meet the rigid safety criteria of the German TÜV. 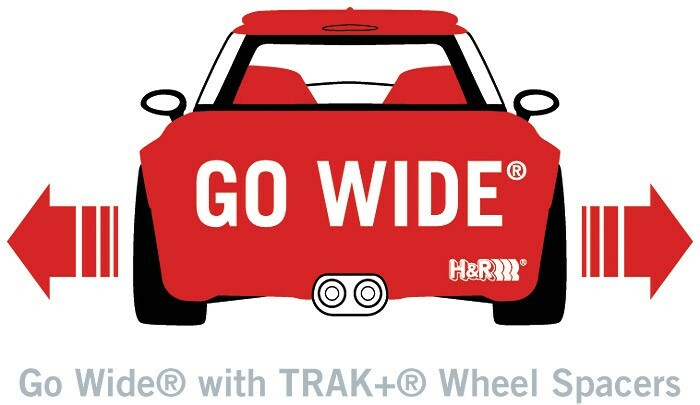 Whether you want improved handling, increased safety or simply want your car to make a statement about your individual style, TRAK+ wheel spacers can help you accomplish your goal. This spacer is fitted between the wheel and hub, using longer wheel bolts. This spacer is fitted to the hub with special wheel bolts (included) and has new threaded holes for exisiting wheel bolts.